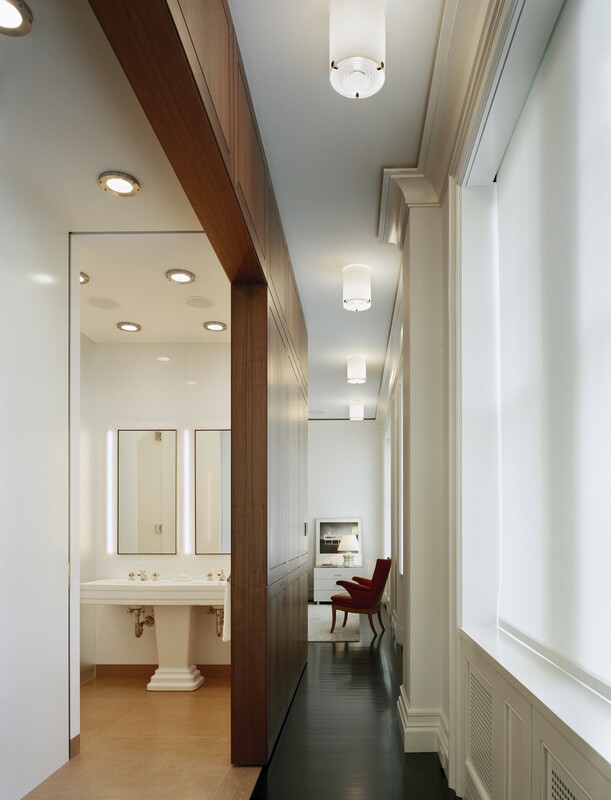 Brief: In one of Manhattan’s noted landmark beaux-arts revival buildings, combine two untouched disparate penthouses (circa 1920) and create one cohesive seamless residence. Add, subtract and restore the unit to retain the best of the historic past, while still being appropriate to our time. 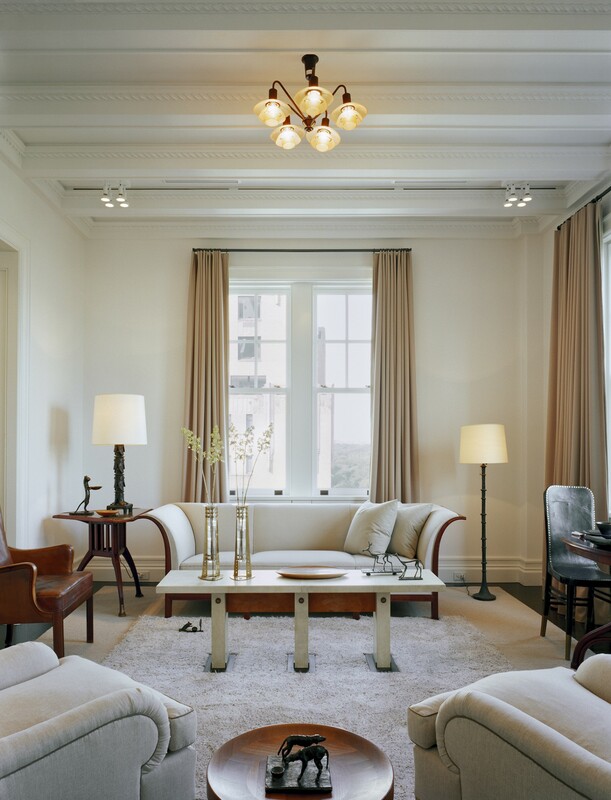 Take full advantage of the four exposures of light, mezzanine, conservatory, rooftop access and views of Manhattan’s Central Park. Solution: In the plan, this combination of spaces, for a noted Philanthropist, breaks down into private and public areas. The public is primarily used as a “think tank” for the exchange of ideas, the private area for the family. Two entry rotundas at opposite end of the floor re-orient and create a new axis of entry. 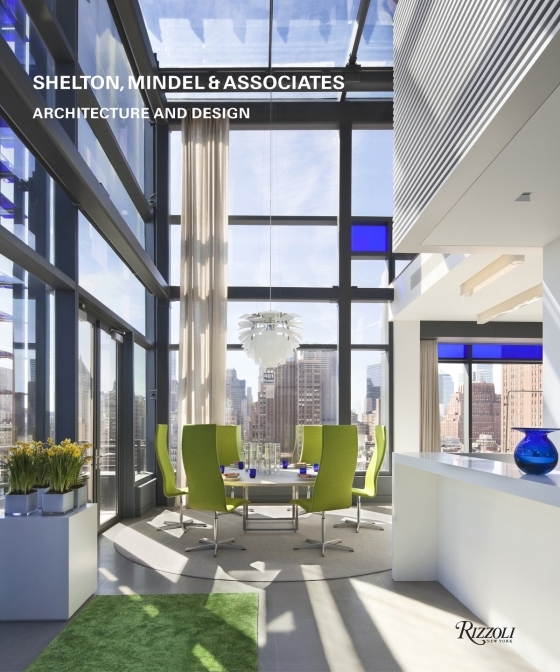 The front public stair moves in and out of a three-story walnut tower, past a catwalk mezzanine, culminating in the penthouse conservatory and roof garden. 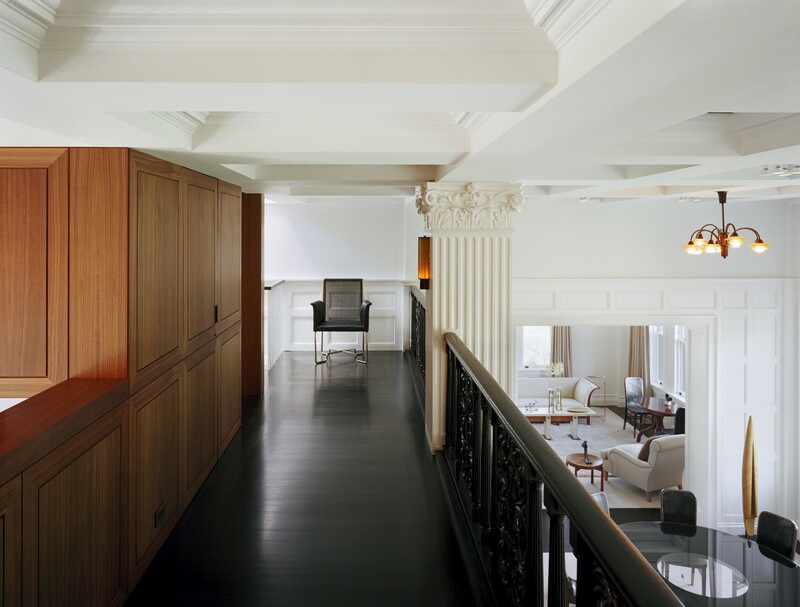 The ground floor coffered ceiling spans from the Central Park West exposure to the building’s courtyard, creating a grand volumetric space bisected by a bridge mezzanine with an overlook of the entry rotunda, kitchen and living room. The two separate but equal segments of the residence are joined by a gallery along the building’s courtyard. 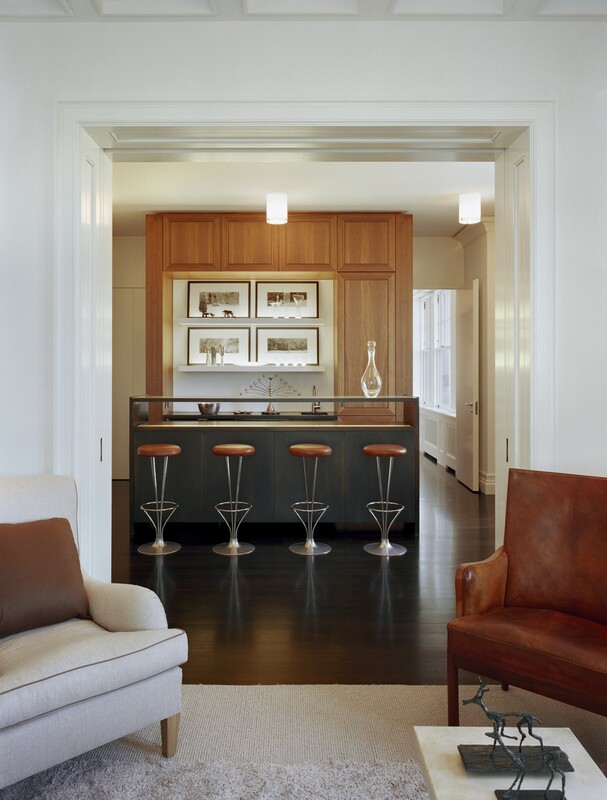 Freestanding walnut elements with pocket doors, allow continuous circulation along the Central Park West exposure and create the division of various spaces. Historic artifacts are salvaged, restored and juxtaposed with the more modernist freestanding elements… the past is brought forward.